Final Fantasy fans were shocked and/or delighted to see the fourteenth entry in the series officially announced at Sony's E3 2009 media briefing. 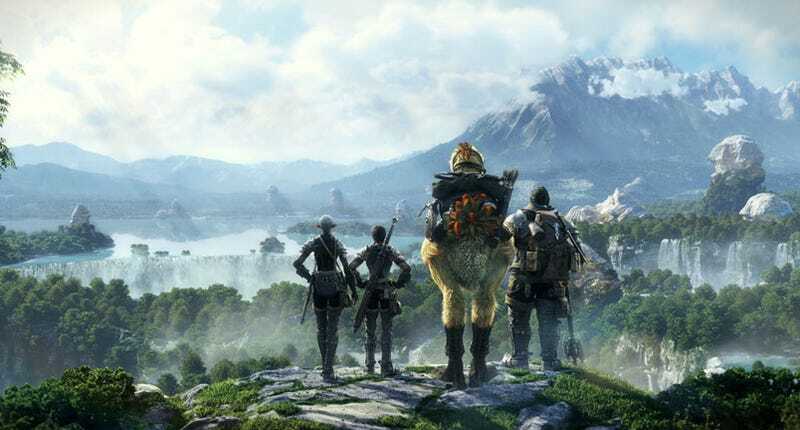 Final Fantasy XIV is taking the series back online, a PlayStation 3 and PC "exclusive" MMO. And it looks rather sharp, as seen in new-ish screens of the massively multiplayer online game, a sequel of sorts to Final Fantasy XI. Much of what we've seen in the game's mostly pre-rendered trailer we see again, albeit in high-resolution screen shot form. There do appear to be some shots using in-game assets, which look pretty—just not as pretty as that carefully rendered Chocobo rump.